Giambattista Zelotti was born in Verona in 1526. He completed his apprenticeship in Antonio Badile’s workshop with Paolo Veronese, with whom he made his first artworks (the frescoes of Villa Soranzo in Treville and some ceilings of Ducal Palace in Venice). His paintings were perfectly in line with Andrea Palladio’s ideals and he was one of the most loyal collaborators of this architect. 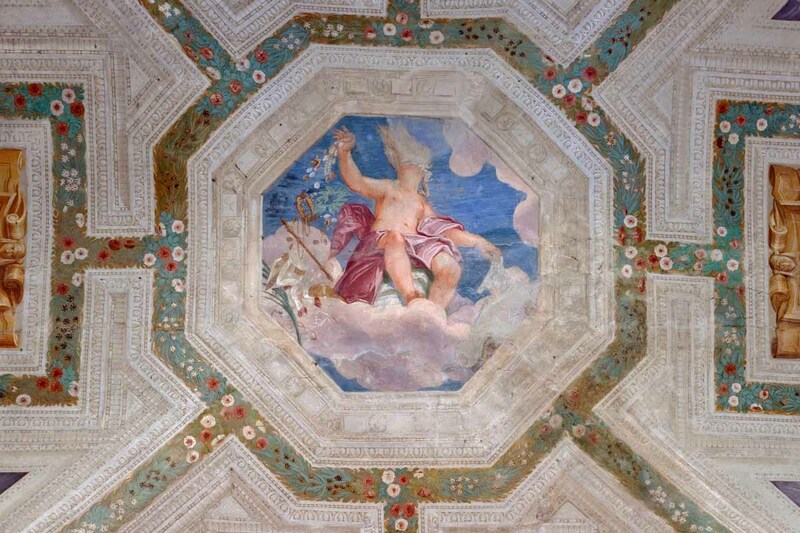 His frescoes can be admired in Lonedo (Villa Godi), in Pojana Maggiore (Villa Pojana – atrium and room with the barrel vault), in Mira (La Malcontenta), in Franzolo (Villa Emo),and in Caldogno (Villa Caldogno). The main feature of Giambattista Zelotti’s frescoes is their illusionistic taste: the walls are characterised by architectural elements which frame landscapes representing facts of the ancient history, mythological episodes or scenes of ordinary life. This scenic illusion, by underlining its harmonious link with the landscape, allows us to go over the boundaries of walls and dive into the nature. Further important frescoes by Giambattista Zelotti are those on the façade of Monte di Pietà in Vicenza (that no longer exist) and those of Castello del Catajo in Battaglia Terme. He died in Mantova in 1578.